- Season the roast with salt and pepper. - In a frying pan, sear the roast on all sides at high heat until golden brown. - Place the roast on a 15 cm x 25 cm (6 po x 10 po) roasting pan which has been previously coated with duck fat or olive oil. - Add the chopped shallots and bake in the oven uncovered for 15 minutes. - In a bowl, mix orange juice, wine and balsamic vinegar. - Pour the mixture over the duck roast, continue cooking uncovered for another 45 minutes. - Remove the roast from oven, wrap in an aluminum foil and let rest for at least 5 minutes. - Blend marmalade to cooking juices and let reduce until sauce thickens. 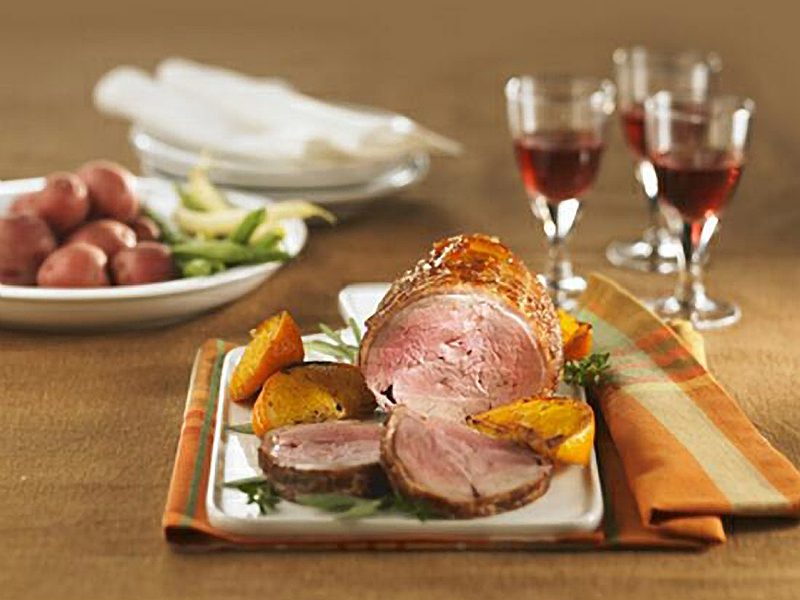 - Cut duck roast into slices, pour sauce over them and serve.